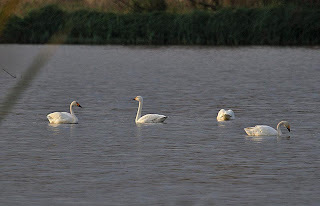 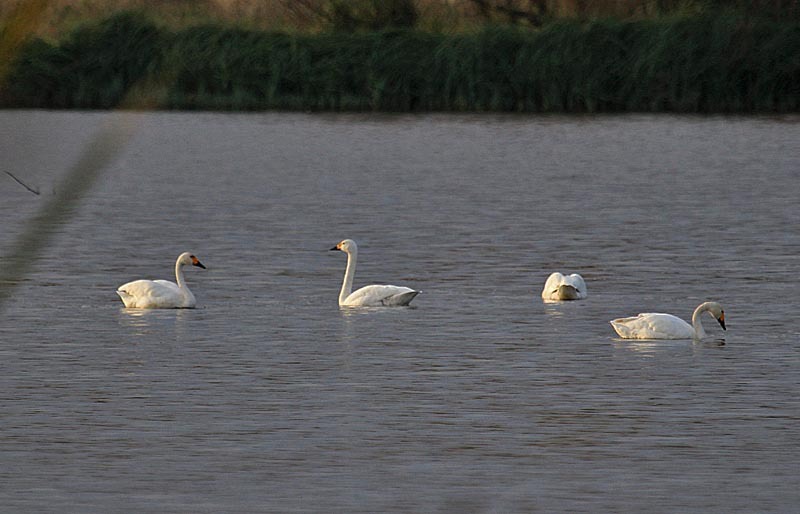 Bewick Swans, part of a group of 9 at Mill pool, Alvecote,Warks. 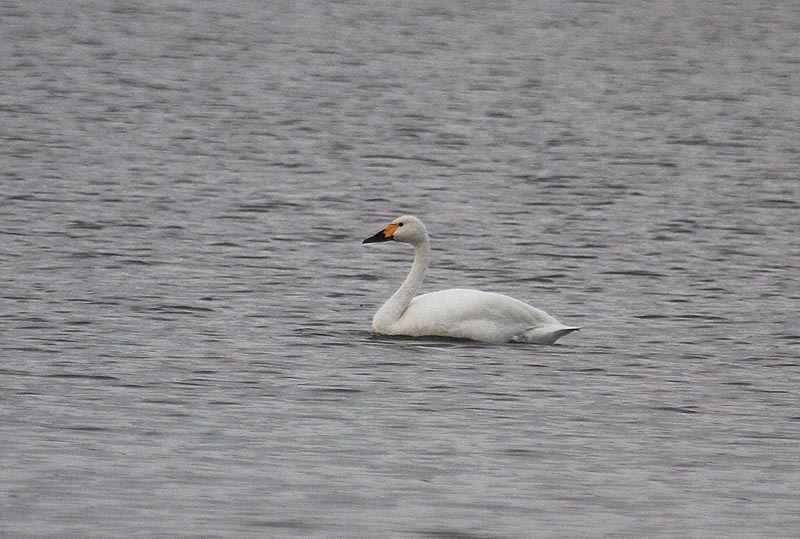 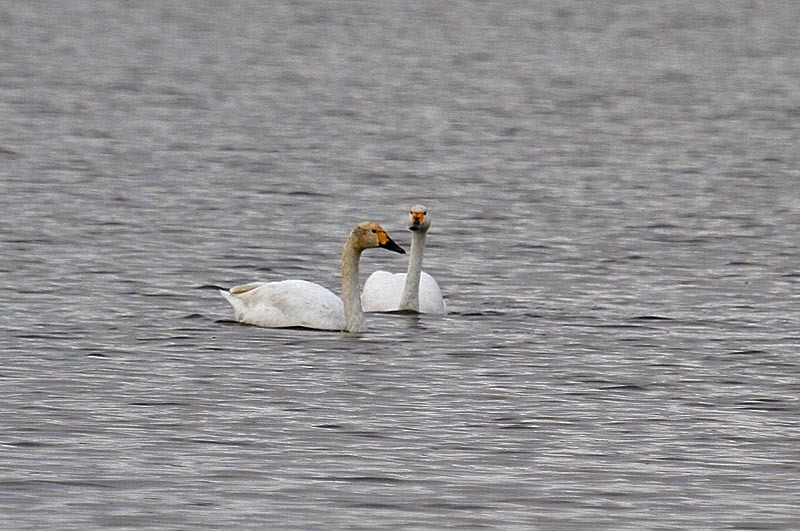 A significant movement of winter migrants occured through North Warks over the past couple of days with sightings of small groups of Whooper and Bewick Swans, White fronted and Brent geese. 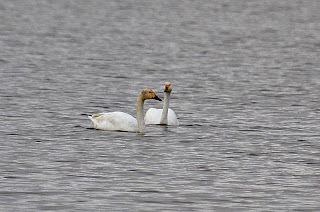 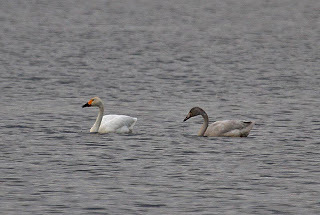 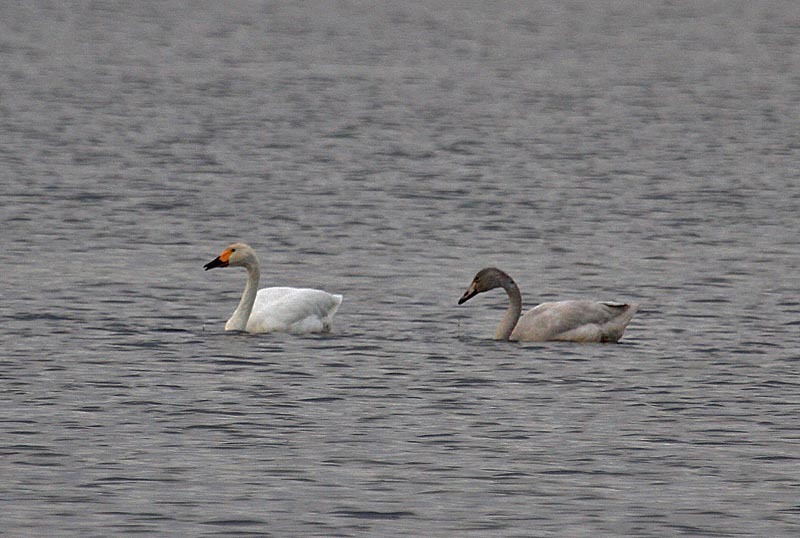 Only the party of Bewick swans (7 adults and 2 juvs.) 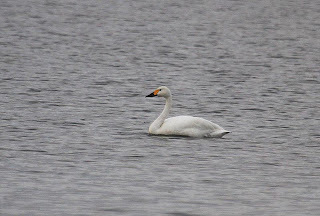 on Mill pool, Alvecote stayed for any length of time but with easterly winds forecast for next week there is a good chance other wintering species may be found in the county. 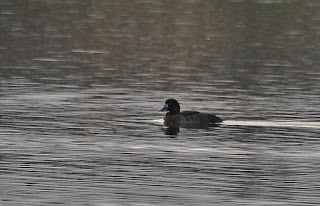 A putative 1w Scaup caused a bit of head scratching showing features of both Tufted and Scaup so hybrid cannot be ruled out. 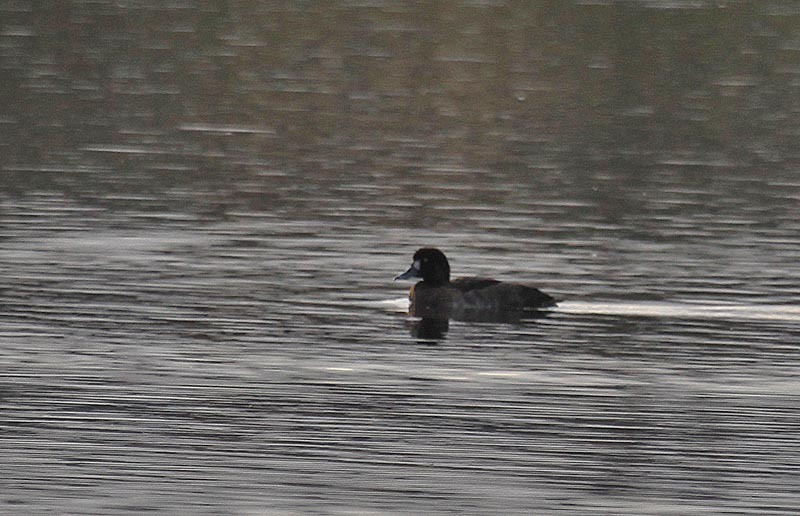 Unfortunately the photos are probably too distant to be a great help.